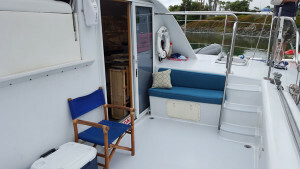 You will board the Aolani at the Harbor Island Sheraton Hotel & Marina and be taken on a relaxing and enjoyable bay cruise featuring photographic points of interest such as the San Diego Skyline, Seaport Village, the Midway, and the Coronado Bay Bridge. Catering is available upon request. Up to 49 Passengers $ Affordable pricing is arranged depending on number of people, catering arrangements, and other factors. 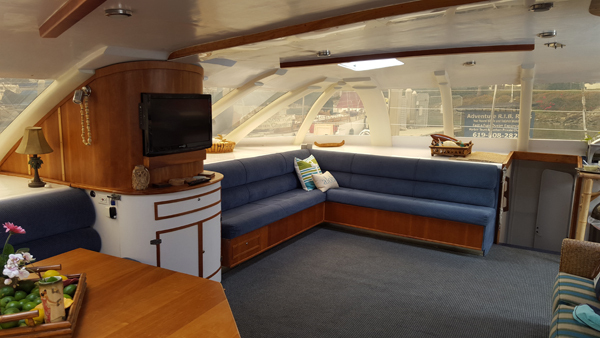 Request a charter and we can discuss your specific event. You will board the Aolani at the Harbor Island Sheraton Hotel & Marina and be taken out to the southern California open ocean and provided a photographic opportunity of a lifetime. 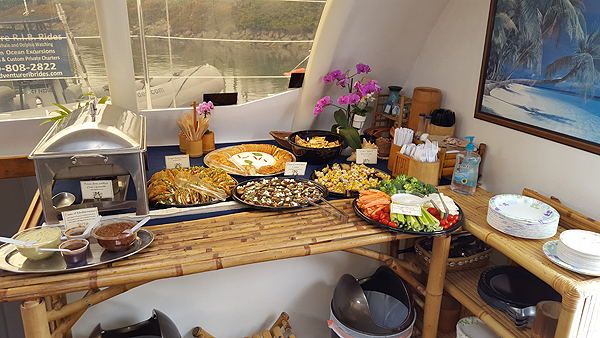 The Aolani will also host a number of other packages and charter options such as dinner cruises, weddings at sea, corporate events, Jazz cruises, etc. We are very flexible and will be happy to work with you to make sure your special occasion is the best it can be. 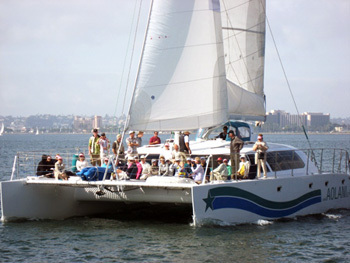 Aolani, or “Heavenly Cloud”, is indeed a heavenly way to spend an afternoon on San Diego Bay. The Aolani is a 58′ Sunchaser American Catamran sailing yacht capable of carrying nearly 70 passengers. However, to assure everyone’s comfort and complete enjoyment, we limit our capacity to up to 49 fun-loving guests! 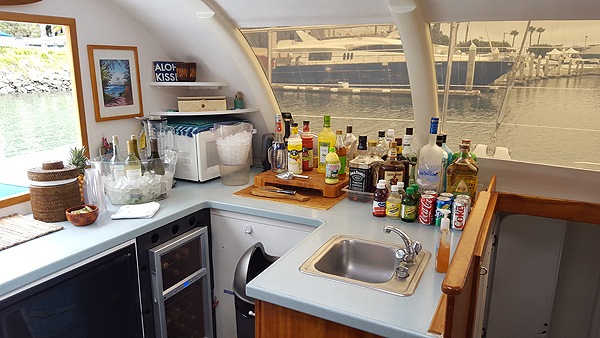 The Aolani is a full service sailing yacht charter ready to provide an unbelievable experience for you and all of your friends who are looking for adventures in or out of San Diego Bay. 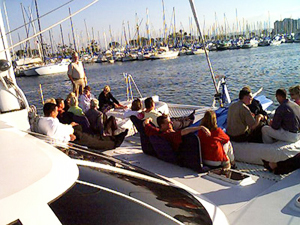 You can enjoy a romantic dinner cruise in San Diego Bay, plan a luxury San Diego yacht wedding on the water, or entertain business clients and colleagues for a fantastic corporate outing. 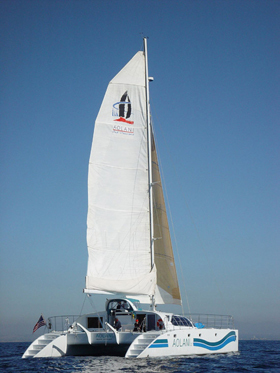 The Aolani sailboat is guaranteed to fit your every wish, desire, and need. There are plenty of things to do aboard the Aolani from whale watching along Point Loma coast to sailing along the San Diego coastline for dinner and cocktails. aboard the beautiful Aolani will certainly provide you with an unforgettable experience. Residents of San Diego, as well as San Diego’s visiting guests, will be privileged with a perspective of “America’s Finest City” that is best appreciated from the sun drenched bow of the Aolani. 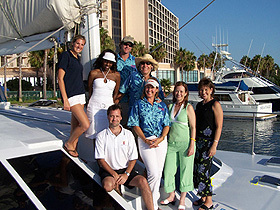 The Aolani is your best option when searching for San Diego yacht rentals. 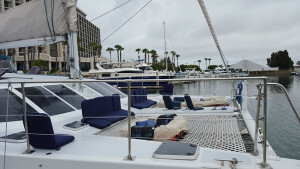 It is an excellent choice for corporate charters, harbor excursions, San Diego dinner cruises, weddings, birthday celebrations, romantic sunsets, and much more. 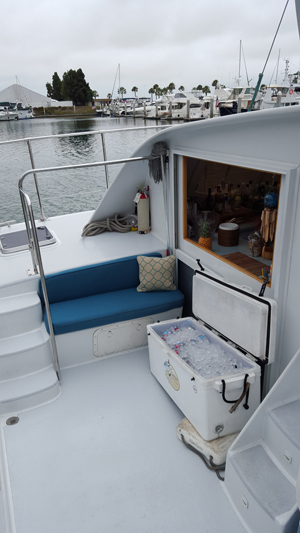 The Aolani is staffed with a licensed captain and professional crew that are happily ready assure your complete enjoyment. 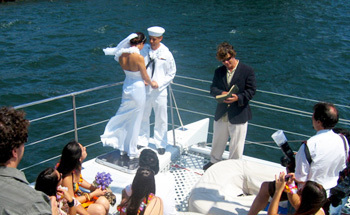 Nobody forgets a wedding aboard the Aolani. Whether you’re planning a wedding at sea, corporate event, exciting day of whale watching, or a serene and romantic sunset dinner cruise, the Aolani is completely outfitted to serve as the perfect host venue for your special occasion. 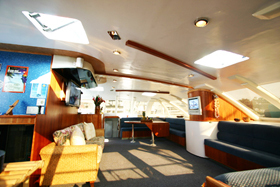 Our luxury yacht is spacious inside and out, yet cozy enough for intimate occasions. 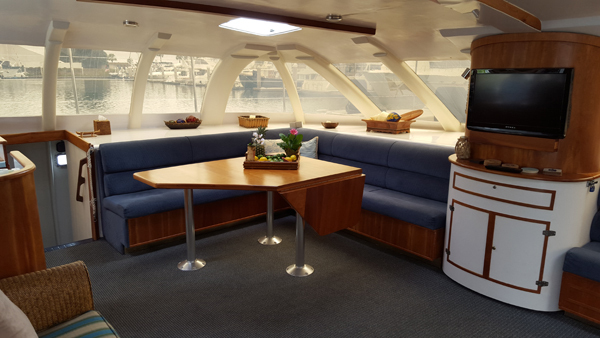 With approximately 1500 square feet and 360 degree views, the Aolani can host your entire party either completely inside or outside, or both making this beautiful catamaran the perfect venue even on the rare not-so-sunny San Diego day. The professional crew of the Aolani ready to assure your good time. 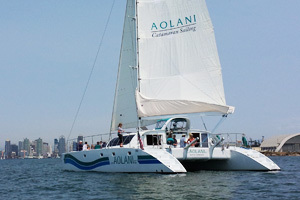 The awesome Aolani under sail on another beautiful sunny San Diego Day. The Aolani salon is the perfect place to entertain friends, family, clients, or colleagues for any occasion or event.